WOW! Archives · Stop the Cap! WideOpenWest, better known to subscribers as WOW!, has filed with the Securities and Exchange Commission to become a publicly traded company as it seeks to raise funding and make itself an attractive proposition for investors and potential buyers. The company will initially remain under the control of Avista Capital Partners (44%), which has been an investor in WOW! from the beginning, joined by Crestview Partners (29%), which invested $125 million in the cable company in 2015. WOW! is currently the sixth largest cable operator in the United States and an attractive takeover target for cable operators like Altice USA, Charter Communications or Comcast. In fact, WOW! provides direct cable competition for Charter and Comcast in the midwest and southeastern United States. Should either of those operators acquire WOW!, that competition will cease. The most likely buyer, however, is Altice USA, which is expected to offer its own IPO to raise funds specifically to acquire American cable companies. Altice currently owns Cablevision and Suddenlink. WOW! has 772,300 subscribers, but is available to up to three million homes. One of America’s handful of cable overbuilders that provide competing cable television service will be ripe for an acquisition or merger after launching an initial public offering that could raise as much as $750 million and make them a juicy target for a takeover. 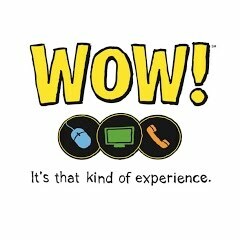 WideOpenWest, which customers know better as WOW!, provides almost a half-million customers in Alabama, Florida, Georgia, Illinois, Indiana, Maryland, Michigan, Ohio, South Carolina and Tennessee with a choice of a second cable company. 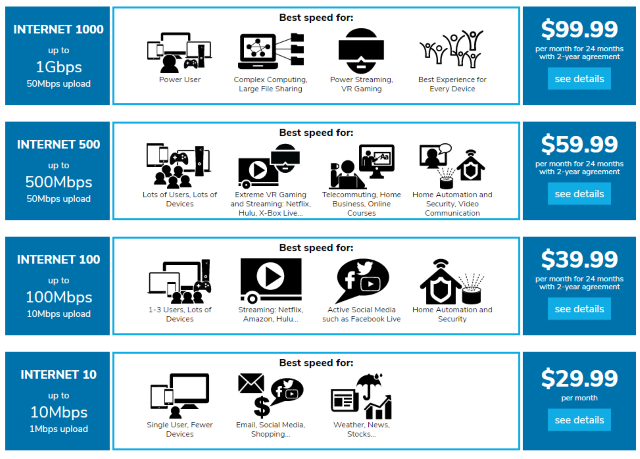 It has consistently won reasonably high scores in ratings issued by Consumer Reports and often offers better speed and service than incumbent providers. WOW has been quietly and slowly expanding service, but in the last two years has attracted the interest of private equity firms and Wall Street banks. One of those equity firms — Crestview Partners, invested $125 million in WOW 18 months ago. UBS Investment Bank and Credit Suisse have teamed up to manage the IPO. Jeff Marcus, who also happens to be a partner in Crestview, has been named chairman of WOW. Avista Capital Partners still owns almost 60% of the company. By entering the public market, WOW could quickly come under pressure from Wall Street analysts to get out of the cable business by selling the company and profiting investors. The drumbeat for mergers and acquisitions has only intensified with a corporate-friendly Trump Administration that has sought to appoint “hands-off” regulators at the FCC and Justice Department. There are several likely buyers — the various cable companies that face direct competition from WOW and would like shut the company down and upstarts like Altice, which has targeted smaller cable operators like Cablevision and Suddenlink. Marcus has telegraphed he is isn’t in a hurry to spend investors’ money, which could leave WOW flush with cash, something else attractive in a takeover. Multichannel News reports that one of WOW’s “main directives” would be to offer “video, voice, and data services in packages that consumers want,” — hardly a revolutionary concept. In a July interview, Marcus made it clear there was ‘no burning need to increase scale.’ That tells would-be buyers the company hasn’t any immediate plans to spend a lot of money or expand service, things that could drive away some buyers. A wealth opportunity for Marcus would be collecting significant proceeds selling the operation. There is a good chance WOW will either buy other companies or be bought itself as the cable industry consolidation wave continues. Other operators about its size — Cable ONE and until recently NewWave Communications, have been considered takeover targets for years. NewWave was acquired by CableONE in January for $735 million in cash, coincidentally slightly less than the potential upper limit of WOW’s proceeds from an IPO. WOW! Internet, Cable & Phone will unveil gigabit speed broadband across five U.S. cities by the end of this year. In Evansville, Ind., and Auburn, Ala., WOW! will be the first provider in town delivering gigabit internet speeds to residents and businesses, with only a modem upgrade required to get faster service. In the wealthy community of Gross Pointe Shores, Mich., WOW! is bringing gigabit broadband over an expanding fiber to the home network. Customers in Knoxville, Tenn., and Huntsville, Ala. will also see faster speeds towards the end of this year. WOW! provides competing cable service in 20 markets, primarily in the midwest and southeast, including Illinois, Michigan, Indiana, Ohio, Kansas, Maryland, Alabama, Tennessee, South Carolina, Florida and Georgia. 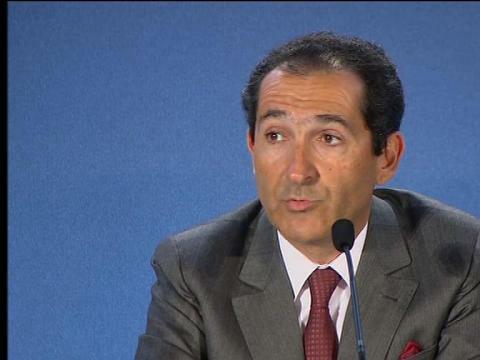 Patrick Drahi, the billionaire ruthless cost-cutting owner of Altice SA told a French parliamentary hearing he didn’t go ahead with a serious bid for Time Warner Cable because he lacked enough management talent to run a huge cable company in a country he only recently entered. “I didn’t follow up on the exchanges we had on Time Warner Cable that were mentioned in the media because we were not ready,” Drahi told a French parliamentary hearing on Wednesday. Drahi testified French-owned banks were ready to help finance a deal that would have stolen Time Warner Cable away from Charter Communications. Instead, Drahi has decided to spend a little time digesting his acquisition of Suddenlink to gain experience in the U.S. cable market before he moves on other cable operators. Drahi believes he will be the only buyer left to cut major cable consolidation deals. The five most-likely cable operators Drahi will pursue, according to a business editor at RFI, the French overseas broadcaster: Cablevision, Cox, Mediacom, WOW!, and Cable One. Cox and Mediacom are privately held and Cablevision is tightly controlled by its founding Dolan family, so Drahi will likely have to sweeten deals to convince all three to sell. Reuters reports Drahi is especially interested in the smaller, less profitable operators because they are ripe for his brand of cost management and consolidation-related savings. “Even better, that means we will have room to improve them,” Drahi said. Drahi remained enthusiastic about Cablevision, despite the fact it serves one of the most competitive markets blanketed by Verizon FiOS in the United States. “It’s good actually since it means they know how to compete,” Drahi said. Drahi’s reputation is well-known in Europe based on his earlier acquisitions. Altice favors telecom and cable companies seen as poorly managed or undervalued which Drahi targets for massive cost-slashing to improve profitability. The investments he does make are largely to benefit high-end customers he values the most. THE FRENCH SLASHER: Patrick Drahi’s cost-cutting methods are legendary in Europe. He could soon be bringing his style of cost management to America. 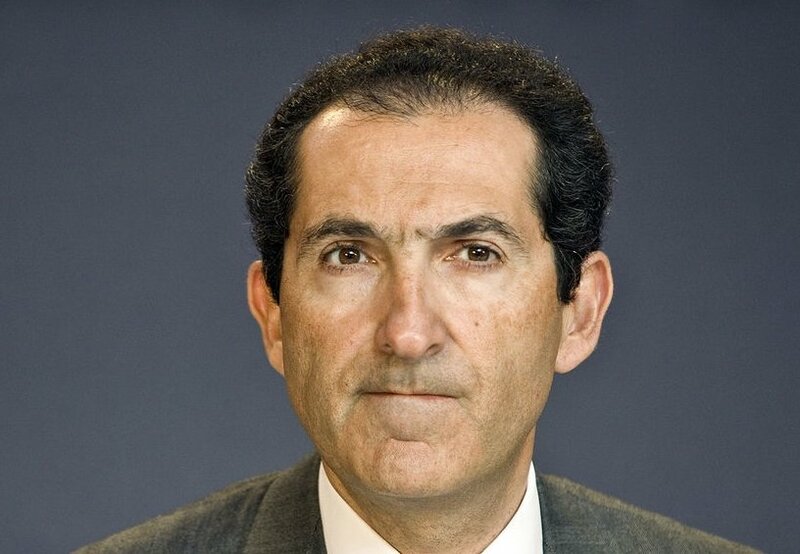 Patrick Drahi and his Luxembourg-based Altice SA appears to be out of the running to buy Time Warner Cable, but are likely to quickly turn their attention to acquiring several of America’s remaining medium-sized cable companies: Cablevision, Cox, and Mediacom. Last week, cable analysts were surprised when Drahi swooped in to acquire Suddenlink, one of America’s medium-sized cable operators. “Altice’s decision to buy Suddenlink (at an unsupportably high price) creates even more uncertainty in an industry where virtually every element of the story is now in flux,” said MoffettNathanson analyst Craig Moffett. Cablevision recently seemed to signal it was willing to talk a merger deal with Time Warner Cable, but that now seems unlikely with the Charter acquisition heading to regulator review. Drahi met last week with Time Warner Cable CEO Robert Marcus about a possible deal with the second largest cable company in the U.S., which seems to indicate he is serious about his plans to enter the U.S. cable market. Drahi has been topic number one for the French telecom press for months after his aggressive acquisition and cost-cutting strategies left a long trail of unpaid vendors and suppliers, as well as employees forced to bring their own toilet tissue to work. Customers have also started leaving his French cable company after service suffered as a result of his investment cuts. As a new wave of cable consolidation is now on the minds of cable executives, several Wall Street analysts have begun to call on the cable industry to consolidate the wireless space as well, buying out one or more wireless companies like Sprint or T-Mobile to combine wired and wireless broadband. “Unlike Europe, we continue to believe that the U.S. is not yet a ‘converged’ market for wireless and wireline broadband services but that this trend is inevitable in the U.S. due to increasing need for small cells, fiber backhaul and mobile video content caching closer to the end user. In our view, Altice believes in convergence and so mobile will be a strategic objective in the long-term,” Smithen wrote. Other Wall Street analyst/helpers have pointed out there are other cable targets ripe for acquisition: WideOpenWest Holding Cos (a/k/a WOW!) and Cable One have a combined 1.92 million video subscribers.